A few of my favorite things that I’ve loved during my second pregnancy! 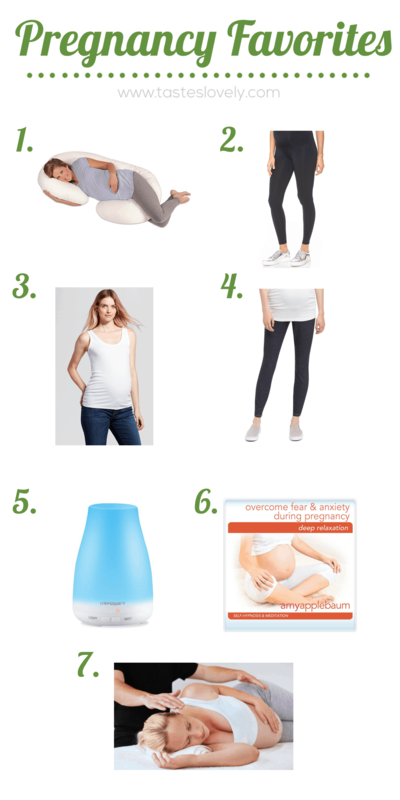 As my second pregnancy is ending out, I wanted to share a few of my favorite maternity products that I’ve used and loved. I’m a minimalist, and am really particular about the “things” I add to our home, but these are all items I’m glad I didn’t have to live without while growing our 2nd boy. Pregnancy Pillow – I have gotten such great sleep during this pregnancy, and I can thank my pregnancy pillow. I usually sleep on my stomach, and this pillow makes it so easy to sleep on my side. David Lerner Maternity Leggings – I have tried allllllll the pregnancy leggings. Seriously. Target, Old Navy, Spanx, Blanqi. All of them. Easily 20 different pairs, because I am a stretchy pants addict. The David Lerner maternity leggings are hands down my favorite ones. The lines on it are seamless, they’re not see through when I bend over, they stay on great, they’re not too thin, and have great support and hold. They’re a little pricey though, so I got just 1 pair. My 2nd favorite pair is this pair from Motherhood Maternity. They’re super cheap, and great for around the house. I really wanted to like the Spanx maternity leggings, but actually ended up returning them to Nordstrom after wearing them. The crotch just does not stay up! Drove me nuts. Ingrid and Isabel Maternity Layering Tank – My cousin Ashley introduced me to these layering tanks and I’m obsessed! Made it easy to wear a lot of my non-pregnancy shirts as they got shorter and shorter as my belly got bigger and bigger. I love that they’re just a longer tank, not necessarily just for maternity. So these will be great when I’m not pregnant too! For other tops, I just got a couple different ones from Target or Old Navy or Motherhood Maternity. Nothing fancy, I’m not much of a fashionista. Secret Fit Belly Maternity Denim Leggings – Ok. Listen. These are the ONLY jeans I got, and I’ve been wearing them nonstop this whole pregnancy. And they’re not even really jeans. They feel like stretchy pants, but legit look like jeans. So comfy! I cuffed them at the bottom to make them a little more fashionable. Essential Oil Diffuser and Essential Oils – I’m super careful about not having any medicine when I’m pregnant. Whenever I got a headache, my essential oils have been lifesavers! Diffusing some peppermint oil would clear up my headache within 15 minutes. To get cozy and get good sleep I love diffusing lavendar, and when I’m feeling sluggish I diffuse some sweet orange for some energy (rather than drinking coffee because I avoid all caffeine when pregnant) and it seriously does work! My favorite relaxation combo is a mix of lavendar, peppermint and eucalyptus. I diffuse it before I fall asleep or I’m feeling nervous/anxious. 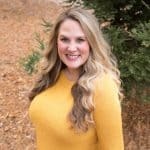 Overcome Fear & Anxiety During Pregnancy Hypnosis – After the complications with my pregnancy with Josh (my water broke at 32 weeks but luckily I didn’t go in to labor, followed by 2 weeks hospital bedrest after my water broke, Josh born prematurely at 34 weeks, followed by a 9 day NICU stay), pregnancy became scary. I have to be really careful about staying positive and not worrying about things going wrong, because after last time it was hard to imagine my pregnancy not ending the same way. But I choose to be positive and only visualize the best case scenario. And it worked! I’ve made it full term, and baby boy #2 is healthy as can be. Hurray! At times when it was really hard and I was feeling a lot of nervous/anxious feelings, this hypnosis really helped. Sometimes I would listen to it 2 times in a row until I felt myself calming down. Mental health is really important during pregnancy, so be sure to take care of yourself if needed! Pregnancy Chiropractor – Around 6 months, I started having some lower back and pelvic bone pain. I went to a chiropractor who had a lot of experience with pregnancy, and OH MY GOSH I FELT BETTER WITHIN HOURS! I started getting adjusted twice a week, and have had absolutely no pain. Zero! I feel amazing! I’ve also gotten a pregnancy massage once a month since 6 months as a little treat for myself.